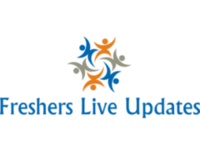 Big news for the tutors/business/technical trainers in India, at ApnaStudy we offer complete solution and support for online managed live classes beyond geography. All qualified/experienced teachers are welcome to teach on our platform and avail the opportunity to amplify earning to an exceptional level, no restriction on time schedule or geography. The platform provide complete managed learning solutions with intelligent analysis and strategy building smart interfaces along with live classes to help the teachers to plan rapid growth in teaching career, If you need more to know understand the offerring of service/products, please refer our Youtube video, by searching apnastudy. 1. Possibility to reach to the huge student base in the country in a short while. 2. Complete one point solution with all smart tools/test platform/resource management with smart graphical analysis in addition live Audio/Video Class with smart board and Editor to make teaching easy and grow earning. 3. Host and setup your own business on our platform where you get unlimited growth opportunity without bothering about anything, We will take care of growing your teaching business from all aspect. 4. Promote opportunity by the leading digital marketing agencies in the country. 5. 50% Discounted price package for the teachers Joining on or before 31st December. Interested teachers/trainers visit www.apnastudy.com , or please send your application i.e. experience/qualification to contact@apnastudy.com or apnastudy.technology@gmail.com , FREE registration.